Call RCNV: 831-423-1626 for more info. 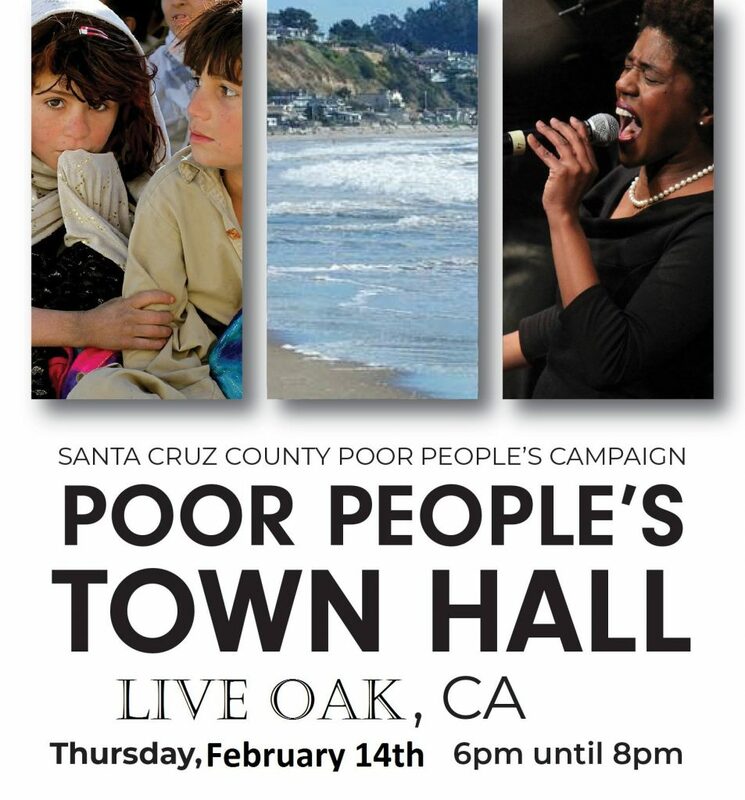 The Poor People’s Town Hall will take place each month in a different city within Santa Cruz County. These events will be an opportunity for Poor People to come and connect with the movement, sing together, struggle together, share food from a food distribution, hear about the work that is being done in their areas to address poverty and hear testimonies from poor people in their area about their experiences and the need for change. Posted in Poor People's Campaign.